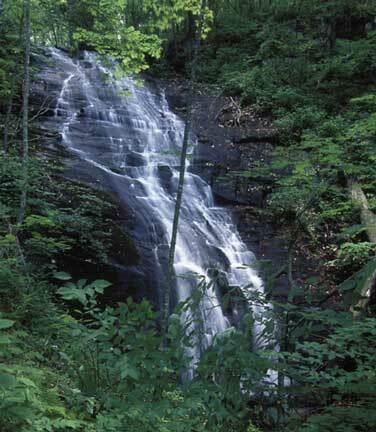 Waterfall Info: This is a tall sliding waterfall in the headwaters of Turniptown Creek. Access Info: The best way to access Julie Anna Falls is via an overgrown trail from the bottom that originates at Turniptown Road. However, the first 0.3 miles of the trail cross private property, and you must obtain permission before accessing the falls this way. An alternative access is available from FS Road 338 in the rare occasion that it is open to vehicles, but even so, you will have to make a long and strenuous bushwhack from the road that will probably not be worth it for most people.